Yesterday, Google had just launched a mobile payment app only for India. Named as Tez, the app was officially initiated by India’s Finance Minister Mr. Arun Jaitley who quoted this new app would promote digital payments in India. The app is not like the standard digital payment apps we most frequently use now like PayTm or MobiKwik or Android Pay. However, its features are almost standard to the BHIM app, launched by National Payments Corporation of India (NPCI) just without its Aadhaar verification feature. Unlike PayTm you cannot add or receive money with this app. Instead, your bank account will be linked directly to the Google account to make all your payments. And it requires no extra charge. The Google Tez app is available on Android as well as iOS. The app is available in English and seven Indian languages (Hindi, Bengali, Gujarati, Kannada, Marathi, Tamil and Telugu). Tez works in partnership with four Banks — Axis Bank, HDFC Bank, ICICI Bank, and State Bank of India (SBI) — to facilitate the processing of payments across over 50 UPI- enabled banks. A new feature called Cash Mode lets you transfer money without having the recipient’s phone number. To do so, the app transmits audio using Google’s QR Technology to identify the recipient’s phone near you. To embark the app across India, Google is offering Rs. 50 to anyone who registers in the app and refers to other people too. Both the people would get Rs. 50 credited to their bank accounts. The app offers Scratch Cards (one card per week) for any money transfer above Rs. 50. You can win up to Rs. 1,000 with these Scratch Cards. The cards come in two types – blue ones which are awarded to both sender and recipient and a Red Lucky Sunday Card which is awarded to the originator once a week. The creators claim that users may request prizes up to Rs. 1000 in blue cards and up to Rs. 1 lakh by red cards. You can link up to 4 bank accounts in one Google Tez app and can transact a maximum amount of Rs 50,000 at a go. 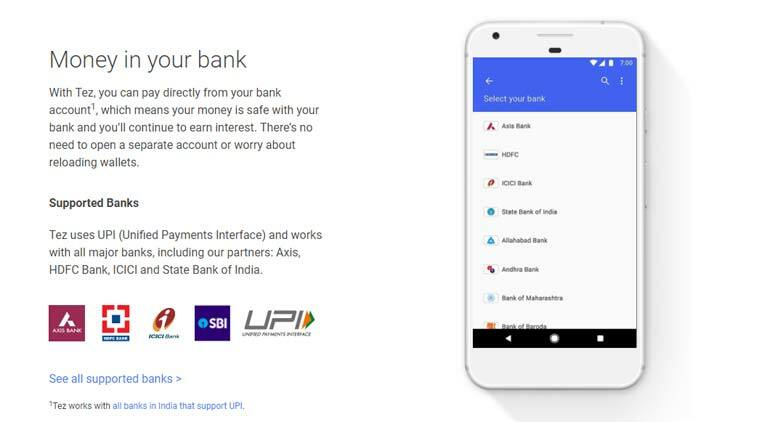 Each bank account will have its unique UPI id and UPI Pin. Download the Tez App from Google store. 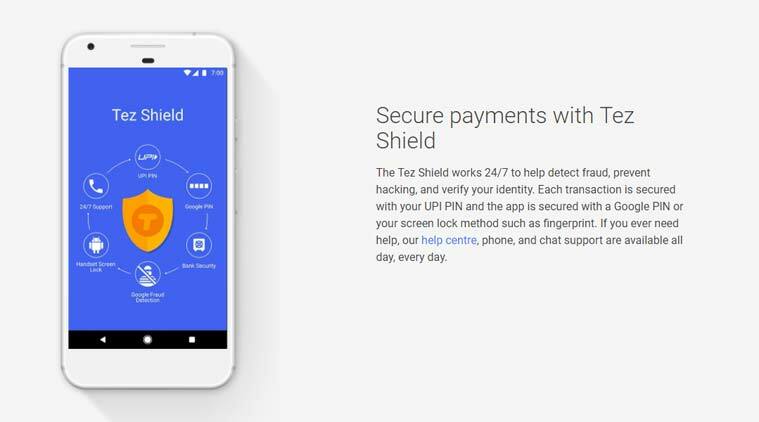 The link is here – Google Tez. Open the App and choose your preferred language. Next enter the mobile number which is linked to your bank account. The app will send a registered OTP to verify your number. Enter the OTP. The app now asks you to secure the app either by your phone’s password or by Google’s PIN. You are now registered in the app. To make payments, you either need to add your account or be nearby to a Tez user.